As Kyousuke, manage Kirino, Kuroneko, and company. Ore no Imouto ga Konnani Kawaii Wake ga Nai. Happy End. will launch for PlayStation 3 in Japan on September 26, the latest issue of Dengeki reveals. It appears to be an idol production game. 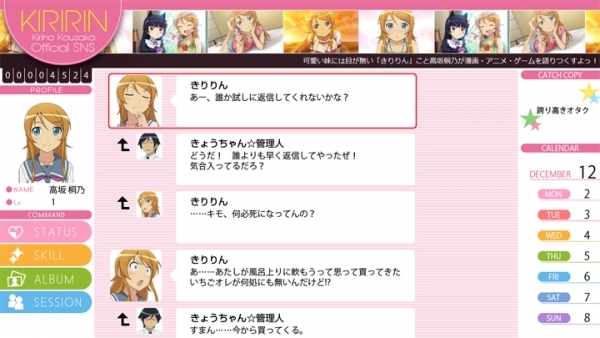 As manager Kyousuke, you’ll produce Kirino, Kuroneko, Ayase, Manami, and Kanako. You’ll choose their clothing and background scenery during photograph sessions, and there are various stages, too. Photographs can be uploaded to the in-game Facebook-like site we’ve seen in previous media.